Weed, which is also called marijuana, is made from the stems, flowers, dried leaves, and seeds of a plant that is known as Cannabis sativa. Cannabis sativa has delta-9-tetrahydrocannabinol (TCH) that acts as a chemical that can alter your mind. In America, the most often used illegal drug is marijuana, as reported by the SAMHSA in 2014. Marijuana is quite popular among young adults. According to the results of the survey, which is conducted every year, marijuana’s usage among high and middle school students has stabilized now after it was used excessively for many years. However, young people still do not consider or understand that marijuana is a unsafe drug and smoke weed regularly. Is smoking weed daily bad? Consuming pot occasionally is not really harmful. Nonetheless, it has an effect on the body as well as mind, since it gets into your system. No matter what route it goes through, weed affects every organ of the body, in addition to the immune and the nervous system. When you smoke weed, its active ingredient TCH is absorbed by your body immediately. It elevates the rate of your heart up to two times for nearly three hours and due to this a few people can face a heart attack straight away after consuming weed. When you drive after inhaling weed, the risk of having an accident increases. Moreover, consuming weed for a long period of time can bring withdrawal symptoms in your body on quitting it, such as sleeplessness, irritability as decreased appetite, cravings, etc. Additionally, in men weed lowers the testosterone levels, if it is consumed every day and that too heavily. It also decreases the sperm count as well as its quality. Consequently, men who smoke weed everyday can suffer from health issues related to libido and fertility. Research has shown that marijuana is linked to many mental health issues, such as schizophrenia, suicidal thoughts, psychosis, anxiety, depression, etc. However, it is not sure if it actually can cause these conditions, but it certainly can worsen them. Some people can argue that cases where people smoke weed everyday are very few and still such people are absolutely fine. However, in these cases, we will say that every human body is different from the other. Therefore, you must always know your body’s limits and never smoke it in excess, which means not more than one hit daily. Plus, you should regularly work out and eat healthy. Weed or marijuana can lead to addiction, especially for teens that start smoking it at a young age. In a study, where the human brain was scanned, it was seen that marijuana can cause long term, harmful neurological effects. A King’s College London professor researched on cannabis for 20 long years and then found out that it can lead to addiction in one out of every ten adults and one out of every six teenagers who smoke weed. 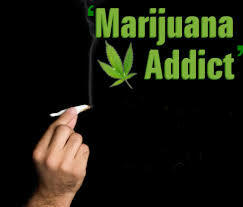 It also indicated that cannabis is extremely addictive and acts as a means to hard drugs. A drug advisor from WHO, named Professor Hall, said that smoking weed when pregnant can reduce the baby’s weight at birth. Moreover, teenagers who smoke marijuana have twice the risk of developing mental disorders, such as schizophrenia. If cannabis is smoked at a small age, then it causes structural damage, although this is not researched much. The scans of brain also showed that constant use of weed, that is if it is normally smoked three times in a day, it lowers the volume of grey matter in the orbitofrontal cortex, which is the brain part that facilitates mental processing and making of decisions. And, if this part is damaged, then it can cause personality disorders and psychopathy. Additionally, users of marijuana also indicated an amplified white matter that can be a compensation for the declined volume of the grey matter. 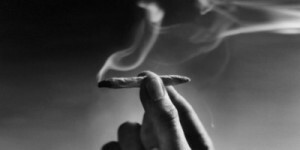 Marijuana or weed is smoked with the help of cigarettes that are rolled by hand, and called joints. It can also be smoked using bong or pipes, which are called water pipes. Some people smoke weed with in-blunts, which are completely or partially emptied cigars, filled with marijuana. People also smoke pot using vaporizers to prevent smoke and collect the ingredients of weed, like TCH, and thus vaporize them into any storage space. In this, the user does not inhale smoke, but the vapor of marijuana. Additionally, one other form of using weed is by putting it in foods such as cookies, brownies, candies, etc. Weed can also be made as tea. Now, people are opting for new techniques of consuming marijuana that is smoking or eating different types of TCH rich resins.